Happy New Year!!! I wish everyone the best to come in 2008! Big thanks to Lisa Strahl for the background stamp! It's a new one she designed for Cornish Heritage Farms called scalloped Lace Backgrounder. Isn't it pretty? I love it! The glasses are from a new set to be released in January 4th from Hanna Stamps. Oh boy is this one CUTE! See the other design team blogs for more sneak peeks. The numbers are from the retried set Tidy Alphabet (Stampin'Up!).... I will never part with this set. Happy is from the Things Hanna Would Say set. The pink strip is from a pack of of all kinds of pink strips. I got them from eP a long time ago and just found them in my mess. 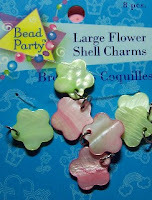 They are made by Doodlebug Designs and they are called Paper Frills. Now that I found them, I'm going to use them! Wait till you see the flowers. :) I used my poker from the Crafter's Tool kit to pierce along the middle. 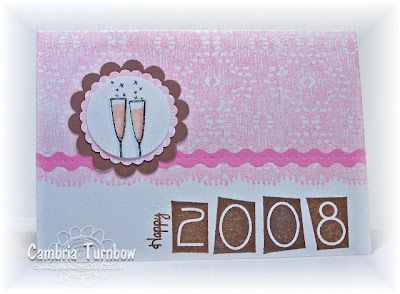 Stamps: New Hanna Set (to be released January 4th), Things Hanna Would Say, Tidy Numbers, Scalloped Lace Backgrounder. Ink: Pretty in Pink, Noir Black & Burnt Umber Palette Ink, Stampin Write Markers, Copics eSsentials (the blue). Paper: Stampin' Up White Notecards, Whisper White, Close to Cocoa. Other: Sakura Glitter Pen, Sakura Glaze, Round Scallop Punch (Stampin'Up! 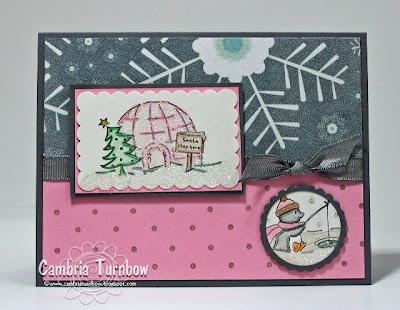 ), Round Scallop Punch (Marvy), 1 1/4 Circle Punch (Stampin'Up! ), Paper Frills, Crafter's Tool Kit. Everyone stay safe, have fun, and have a SUPER new 2008!!! I can't stop. 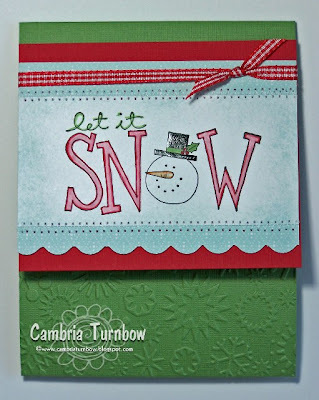 I am addicted to these new rub ons from Stampin'Up! My cell phone, my digital photo frame, my review mirror in my van! LOL. Where have I been? Why didn't someone tell me rub ons are so much fun!! The little flower charm is from Walmart. I picked them up ages ago because I thought they were cute... and well, they were pink. But... that black center? You guessed it!! It's a RUB ON!! It's from the same package (Eastern Elegance), but from the black sheet. See the white little design around the lid? Oh yah baby, more rub ons! I love how you can cut them out and just put the pieces wherever you want. I haven't been this excited since I discovered that I can sew! Have a super day everyone.... I have to go and find more stuff to cover with rub ons! Happy Heart Day w/Rub Ons! I'm SO excited that Stampin'Up! is now carrying Rub Ons!! I've never used them with any luck, but wow, was this easy!! As a demo, we were allowed to pre-order out of the Preview Brochure, so I couldn't resist ordering them. Now, I'm counting down the days until I can order all of them out of the new Spring/Summer Idea Book & Catalog! By the way, the new catalog has landed at my house... so if you want one, let me know! This set is called Happy Heart Day. It's included as part of the Valentine Bundle Promo starting January 2nd. 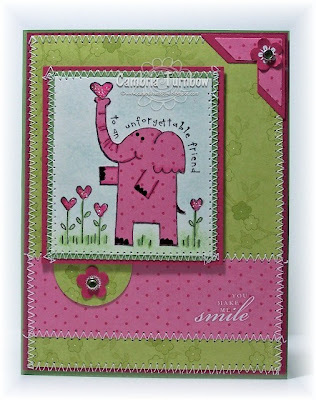 I paper pieced the elephant with the Bali Breeze Designer paper (also available January 2nd). I took my blender pen, dipped in Purely Pomegranate classic ink and colored some highlights right on the elephant. What's better than a pink polka dotted elephant? You get two huge sheets of rub ons in the package. One sheet is white and the other is black. I used the white for the sentiment and for the center of the flowers. Cut out the part you want to use from the sheet. Peel off the back and then stick it where you want it on your project. For the flowers, I stuck it on a scrap piece of Purely Pomegranate card stock. Then, take the stick (included) and gently rub across the front. Carefully peel off the sheet and SHAZAM..... it's on the paper!! I then took the Three for You Punch and punched out the flower. How cool is that? Cool indeed baby. I'm a rub on newbie and if I can do it, anyone can. Paper: Wild Wasabi, Purely Pomegranate, Shimmery White, Bali Breeze Designer Paper. Ink: Basic Black, Purely Pomegranate, Wild Wasabi, Soft Sky. Other: Three for Three Punch, Photo Corner Punch, 1 1/4 Circle Punch, Stipple Brushes, Blender Pen, Crafter's Tool Kit, Dazzling Diamonds, Ice Rhinestone Brads, Eastern Elegance Rub Ons, Dimensionals, Janome Sew Mini, Scor-Pal. With the kids home, and the holiday, my days are all off. I keep thinking it's the weekend. I can't believe 2008 is just a few days away. We don't have anything big planned. The kids are looking forward to it though. We stay up, watch movies and each junk food. Hope you all have a great New Year with the ones you love. Thanks for stopping by!! I knew I had to have this set when I saw it in the Preview Brochure. The butterfly is my favorite part of the set, but the whole set is just too cute. And, perfect for Valentines day and beyond. You can get this set as part of the Valentines Bundle starting January 2nd. You probably can't see in the photo, but the center of the flowers are embossed, so the circle portion is popped out. I did that with my Punches Plus Classy Brass Template. 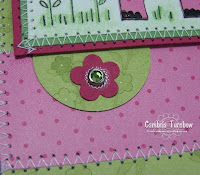 You can see a quickie tutorial on dry embossing here. Does the card stock and ribbon look familiar? 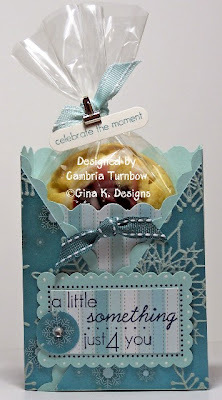 Yep, I'm using the tag bundle from the Wrapping Up The Holiday Promotion. Better hurry and get some! It's also your last chance for buy one get one free on the beautiful satin ribbon! Offer ends December 31st. Only $4.95 and everything is cut and ready to go. It's going to make my swaps a breeze! 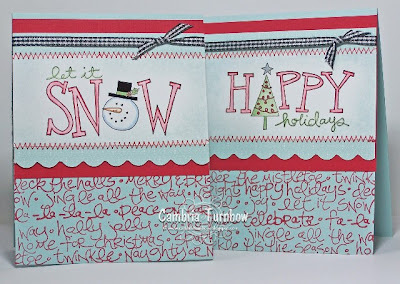 Paper: Basic Gray, Holiday Tag Bundle (which includes, Whisper White, Soft Sky Prints Designer Paper, Real Red Textured card stock, Ribbon), Whisper White, Real Red, Soft Sky. Other: Word Window Punch, Designer Label Punch, Circle Punches, Circle Scallop Punch, Dazzling Diamonds Glitter, Two-way Glue Pen, Dimensionals, Crafter's Tool Kit, Uni-ball White Gel Pen, Blender Pens, Light Table, Empressor Stylus, Punch Pals Classy Brass Template, Scor-pal. I hope you all had a wonderful Holiday. Mine was crazy, but mad fun! Thanks for stopping by! Just a couple more cards I thought I'd share. You've seen the penguin one as a part of the dirty challenge, but this one I made with the blue for the sky and added the little frame around the igloo. It felt so much better when I could use blue! I used my Copic Marker that matches Soft Sky from the eP eSsentials Copic bundle . I hope Santa brings me MORE of those markers! :) The dot frame is from the Festive Labels set from Gina K. I just inked it up with my Stampin'Write Marker without getting ink on the sentiment. Images are from Elzybells.... I think they are adorable! That wonderful, fuzzy paper is from Heidi Grace. I wanted to wish you all a wonderful Holiday and a SUPER new year!! I thank you all for visiting me and for leaving such nice comments and emails. I appreciate it very much. You bring me SO many smiles!! Enjoy your family and friends and stay safe if you are traveling. MERRY CHRISTMAS!!! I didn't get enough Christmas cards made this year. I NEVER get enough made. Thought I was going to just pack it in and move on to my SU! swaps when one of my twins begged me this morning to make a card for his girl. Yes... his first "girlfriend". He's only in fifth grade, and hasn't even worked up enough nerve to hold her hand, but he's had a crush on this girl since last year, and they are a "official" couple. Well, as "official" and as "couple" as you can be in the fifth grade. LOL. Her Mom is a stamper too... he knows how to pick em, I can say that! I used the last of my Heidi Grace candy paper and some scraps on my desk. Her shirt is paper pieced from the opposite side of the paper. He did request "not too lovie.. with hearts and stuff Mom". I hope it passes his requirements. Ahhh... first love. He's such a sweetheart.... how could I not make him a card for his girl? Have a wonderful weekend everyone! Thanks for stopping by!! Ink: Palette Noir Black, Copic eSsentials, Stampin'Write Markers. Other: Soft Subtle Brads, Red Grosgrain Ribbon, Dimensionals, Circle Punches, Scalloped Marvy Punch (yellow), Janome Sew Mini, Scor-Pal. Another challenge in the Dirty Girl Alumni Forum. I was thrilled to read about this one because I had just ordered this sweet penguin from Elzbells! It's Jami's fault... she sent me those images, then I HAD to go and take a look. HAD to have the sweet little penguin! :) Jami's fault. This challenge was any card with a penguin, ice, and the hard part... NO BLUE! No, that is not blue in the center of the main flake. Really... it's green. I know it LOOKS blue in the photo, but it's not. Now I can't wait to make another with some blue... I can't tell you how many times I reached for blue. "Oh shoot.... no blue" she kept saying to herself.... out loud too. I think I've lost it. I hope I can find it after the Holidays. SNORT. Want to see more of this challenge from Dirty Girls past? Click here. Other: Dazzling Diamonds, Sakura Glitter Pen, Two-way Glue Pen, Marvy Rectangle Scallop (purple), Marvy Round Scallop (yellow), Circle Punches (Stampin''Up! ), Dimensionals, Taffeta Ribbon, Fun Flock, Glue Pen, Scor-Pal. Have a super day everyone! I'm off to hopefully finish up my Christmas shopping! This week has just been beyond NUTS baby. NUTS! Thanks for stopping by!! 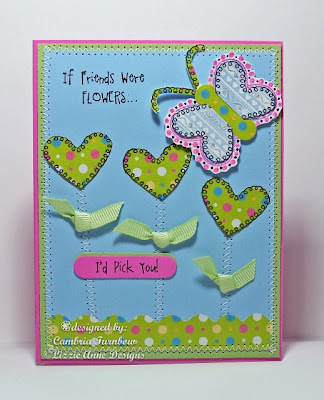 I always have so much fun with new Hanna stamp releases! Talk about fun sets to play with... yah baby. This cute Hanna is all excited because she opened a box with the In Colors ribbon from Stampin'Up! and new Paper Snips! (I just cut the lid off the box with my cutting knife and filled it up.) Indeed..... the perfect package for the stamper in us all! I have to tell you that I've been drooling over those Copic Markers ever since Sharon let us play with hers in Portland. I haven't ordered any because the color choices are just overwhelming.... I don't know where to start. I was thrilled to see that eP is offering the Copic essentials!! They coordinate with the In Colors from Stampin'Up! I love Joy and Daisy... they are SO smart. I couldn't add them to my cart fast enough. Santa brought me a present early.... I don't think he's been getting my HINTS about stuff I want for my craft'in. Whooo Hoooo... I've got some Copics!! Now, for some practice! Stamps: Perfect Package, Things Hanna Would Say. Paper: Shimmery White,Close to Cocoa, Groovy Guava, River Rock, Ginger Blossom Designer Series Paper. Ink: Black Noir Palette, Copic essentials, Stampin'Write Markers, Groovy Guava, River Rock. Other: Guava Stitched Ribbon, Vintage Brads, Tag Corner Punch, Dimensionals, Crafter's Tool Kit, Janome Sew Mini, Scor-Pal. I know, I know, I just can't leave that Heidi Grace paper alone! I wish you could see the shimmer and the embossing. It's funs stuff and Hanna is having a fun birthday! I used my new In Color Copics and my Stampin'Write Markers for the coloring. I also had a shimmery, glittery pink marker (I have no idea where I got it) that I used for the bow she tossed aside and the ribbon on the package. 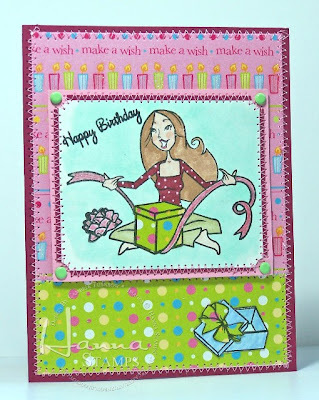 Paper: Purely Pomegranate, Shimmery White, Pretty in Pink, It's My Party (Heidi Grace). Other: Photo Corner Punch, Dimensionals, Colored Brads, Crafter's Tool Kit (all SU! ), Janome Sew Mini, Scor-Pal. 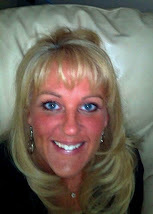 So... new look today for my blog today. I hope you like it. My fellow dirty girl alumni friend Michelle Laycock offered us all a little gift for Christams and made new banners! How sweet is that? Thanks Michelle!! Hope you all had a wonderful weekend! Thanks for stopping by!! Nichole Heady is just beyond Bombalicious... she is a PAPER GENIUS! Every time I go to her site, my mouth opens and noises come out. My husband says... "what the heck are you looking at?" I say, "nothing honey... just some stampin stuff". He then rolls his eyes. 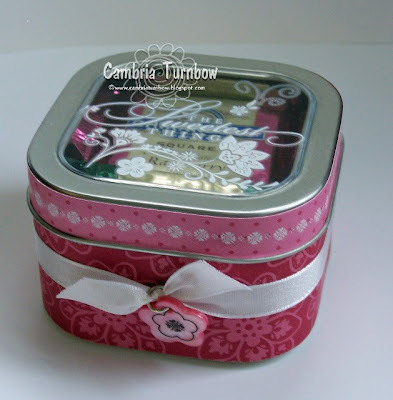 Did you see her tutorial on this cool little box she designed? She was inspired by Mish's (one of my BFF's) Criss Cross Cards. You all KNOW how much I love Mish's Criss Cross Cards! I just love you Nicole Heady!! Thanks so much for sharing your bombalicious thoughts and designs with us!! 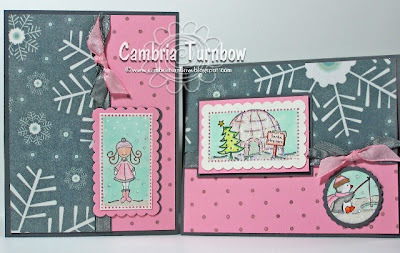 Another bomb of a gal is my friend Gina K. I am loving her new Festive Labels stamp set. It's HUGE.... the set that is. And, they all fit Marvy punches! Perfect for any occasion or gift giving. Yes.... my husband made the cookies and they are TO DIE FOR! Another thing that makes noises come out of my mouth after taking a bite of these raspberry filled cookies. It's just torture at my house when he's baking cookies. I'm trying to be so good through the holidays. So.... the saying punched out with my Word Window punch is perfect... celebrate the moment. Believe me, your tongue is celebrating when it tastes those cookies. I wish I could send ya'll one. You can get Punchy Words for free at Gina K. Designs. Click here for the details. Other: Stitched Ribbon, Mini Library Clips, Double Rectangle Punch, Word Window Punch, Marvy Scalloped Rectangle Punch (purple), Small Cello Bag, 1' Circle Punch, Corner Rounder Punch, White Uniball Pen, Dew Jewel Droplets, Scor-pal. Hope you all have a wonderful day... I'm off to PT. Thanks for stopping by!! So... I got the Holiday Tag Bundle from the Wrapping Up The Holidays Promotion and I'm SO happy I did. I made these last week. They came together pretty quickly since the card stock is all cut and ready to go. I hope to get more made, but I'm having a tough week. I've been working on something with one of my Gina K. sets and I hope to have it done soon. Oh, how I love it! Hope you are all surviving the holiday craziness. Thanks for stopping by! Other: Sakura GLaze and Glitter pens, Blender Pens, Jumbo Roller Handle, Gingham Ribbon, Janome Sew Mini, Scor-Pal. I have a confession. Last year, my husband started making cookies and now he can't stop. My grandma enables this behavior by bringing him new recipes. The thing is..... cookies are my FAVORITE thing. It's torture. He is making cookies for some people at work.... everyone loves his cookies. So, he requested some Christmas cards. Thank goodness I took advantage of the Holiday Glitz promotion!! Instead of making a match book style card like featured in the kit, I attached the main image to the bottom flap (that was suppose to be the matchbook part) making it the card cover. This would be perfect if you wanted to include a holiday photo. On the left side and on the tree is the Celebration wrapping paper. It's now on sale... check out the Wrapping Up The Holidays Promotion!! It's not too late to take advantage of these promotions... contact your demonstrator today!! Again, this one uses the wrapping paper Celebration. I colored in the Happy portion with a blender pen and Wild Wasabi classic ink. This one opens the same way, just the opposite direction. The red part is adhered to the Wild Wasabi tab. Everything in the kit comes cut and scored and ready to go. 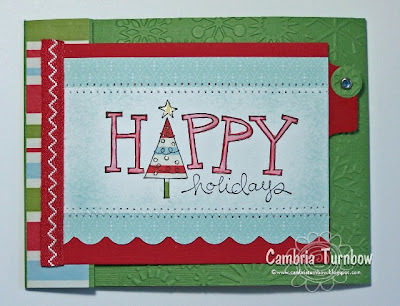 I put a Christmas greeting under the flap on the first piece, then a sentiment on the main part or back of the card. The wrapping paper on the bottom covers only half of the card flap under the main image. Again, these would be perfect if you had a family photo to include. Same thing with the last one. 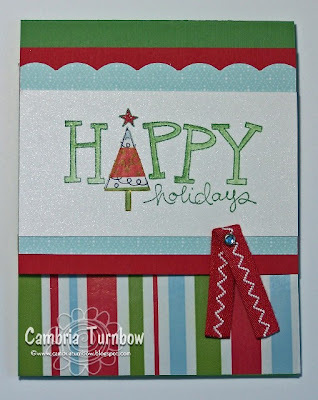 I added red gingham ribbon and embossed snowflakes on the bottom with my Cuttlebug with this embossing folder. All the edges were done by dipping my stipple brush in Soft Sky classic ink and dabbing it on the edges. 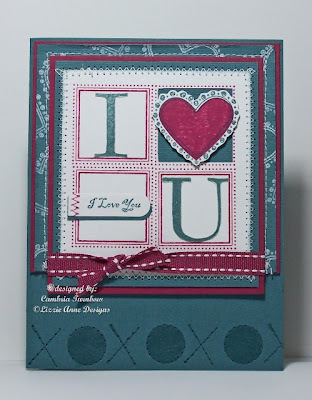 The letters are colored with a blender pen and Real Red stampin marker. The snowman's hat is colored with my Sakura Glaze pen. 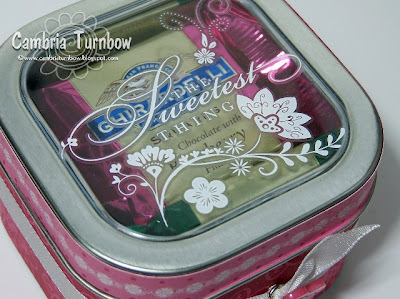 Other: Sakura Glaze Pen, Cuttlebug, Embossing Folder, Janome Sew Mini, Stipple Brushes, Sakura Glitter Pen, Gingham Ribbon. PS.... have you been to the Scor-Pal site lately? The Scor-Pal Magazine is up for Dec/Jan and it's PACKED with all kinds of tutorials for gift ideas, including my peppermint patty box. 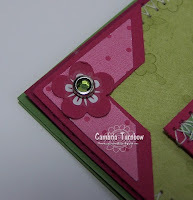 Don't forget to also check out the tutorial on how to make custom envelopes! How cool is that? Have a wonderful day everyone!! Thanks for stopping by! More paper from Heidi Grace..... my BFF. This one has all kinds of glitter and little embossed dots on it. Man, her paper is just the coolest! Paper: Bashful Blue, Pixie Pink, It's My Party DS paper. Other: Dimensionals, Grosgrain Ribbon, Word Window Punch, Corner Rounder Punch, Janome Sew Mini, Scor-Pal. On this card, I used the set Celebration Frames to make the main image frame. I stamped four all together. Along the bottom is the circle and X from the set Shapes & Stitches. Have you seen the new Celebration Fame set? OMG... it's so cute! I adore every single set they make! I'm so lucky to be on their design team! I wish I could sit and stamp all day long! 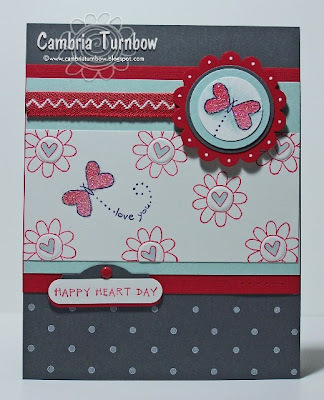 Stamps: Heart to Heart, Shapes & Stitches, Celebration Frames. Paper: Whisper White, Blue Bayou, Purely Pomegranate. Ink: Purely Pomegranate, Craft Whisper White, Blue Bayou. Other: Stitched Ribbon, Janome Sew Mini, Square Punch, Word Window Punch, Dimensionals, Scor-Pal. Sorry it's been so long since I posted. I had some news from my Dr. about my back that set me back a bit. MRI results were not what I had hoped for. My bottom four disks are degenerating and the bones around them have arthritis.... it is narrowing and crowding my spinal cord. That is what is causing the pain in my hip/leg. My only option is a fusion and that will limit my mobility. He won't do surgery now while I'm still young (almost 40 is still young). So, I started physical therapy and some medication. If that doesn't work, I'll see a pain management Dr. and hopefully put off surgery for many, many years. I had already been doing a daily exercise routine since my last surgery, but now they are steppin it up. I am feeling new ab muscles indeed. I am starting to feel better and I'm super optimistic about PT the rest of the month. I do have some nerve damage in my leg, but my strength hasn't been affected. I think I'm going to try stampin while sitting on my exercise ball!! So..... my sitting time is limited for now. Thanks for the emails and the nice comments. I'm working hard in PT and will post as I find time to stamp! Bounce, bounce, bounce..... snort.